It was successful. 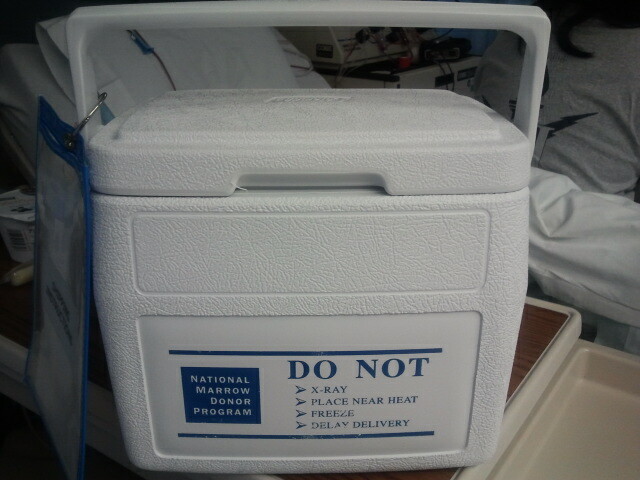 I am on my way home and my stem cells are on the way to the recipient; I was there when the courier picked up the cooler. She has had chemo for the past six days in preparation and will undergo this procedure tonight or tomorrow. My nurse and coordinator, The Sarahs, remarked about how great I was and didn’t complain. Honestly, it was uncomfortable and I was still feeling the effects of the filagrastim. But, I powered through because I knew it was only a fraction of what life must be like for a 12 year-old girl who was somewhere waiting for my stem cells. We all got a little teary before I left.